It is also a book replete with mummies and vampires, tyrants and prostitutes, murderers and freaks—figures that are fundamental to Schefer’s conception of the cinema, because the worlds that cinema traverses (our worlds, interior and exterior) are worlds of pain, unconscious desire, decay, repressed violence, and the endless mystery of the body. 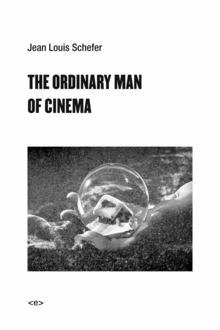 Fear and pleasure breed monsters, and such are what Schefer’s emblematic “ordinary man” seeks and encounters when engaging in the disordering of the ordinary that the movie theater offers him. Among other things, Schefer considers “The Gods” in 31 brief essays on film stills and “The Criminal Life” with reflections on spectatorship and autobiography. While Schefer’s book has long been standard reading in French film scholarship, until now it has been something of a missing link to the field (and more broadly, French theory) in English. It is one of the building blocks of more widely known and read translations of Gilles Deleuze (who cited this book as an influence on his own cinema books) and Jacques Rancière.